Are you looking for HVAC duct cleaning? 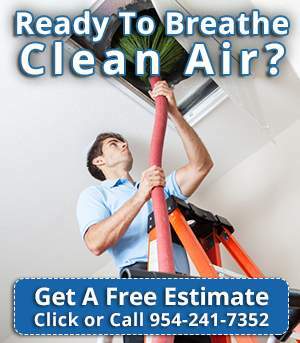 Air Purification Technologies is the number one choice for Florida residents regarding HVAC duct cleaning services. We are a company that you can trust that offers a variety of services regarding your healthy breathing environment. We understand that allergies and asthma symptoms could arise due to a neglected duct system. Our number one priority is your families health. Contaminants not only begin with a polluted outdoor environment but surprisingly indoors also. At Air Purification Technologies we are a local, green, and family owned business trying to do our part in helping clean the air your family breathes every day. We are specialist in Air Duct Cleaning, Dryer Vent Services, and HVAC duct cleaning. The HVAC duct system in your home or office functions as the respiratory system. 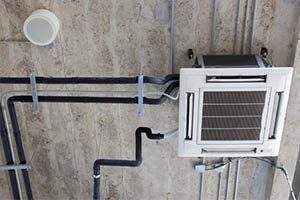 For example, contaminants such as dirt, dust, pollen, pet dander and other airborne bacteria are sucked into your AC system every time your air conditioner runs. If your AC system is not properly maintained its components can become contaminated with these contaminants. When moisture is present, the potential for micro bacterial growth arises and may be released into your breathing living space. Many of these contaminants and bacteria cause allergic reactions for people that have never had any allergy symptoms. Also, asthmatic individuals with other respiratory issues could be exposed and deteriorate their health. How it works is that these contaminants will build up in your air duct system over a period of time, impacting the quality of the air you and your family are breathing every day. You would be breathing mold spores, fungus, bacteria, mildew and other microbes if not taken care of. These particles and pollutants settle in the air ducts and re-circulate al over again every time the AC system is turned on. Cleaning and sanitizing your air ducts will improve the efficiency of your air conditioner buy improving the air flow. Believe it or not, Doctors are more often “prescribing” air duct cleaning as a preventable remedy for more health problems regarding allergies, asthma, and many other respiratory conditions. Remember, the most vulnerable to the effects of indoor air pollution are children and the elderly. As you can see, we can help prevent any health issues regarding your respiratory system. We are a family owned business that takes care of others families breathing environments to give them the best service they in South Florida. Call us today to set up your appointment at 954-241-7352.